Soon-Shiong said growing up in South Africa has helped him appreciate the value of a free press. 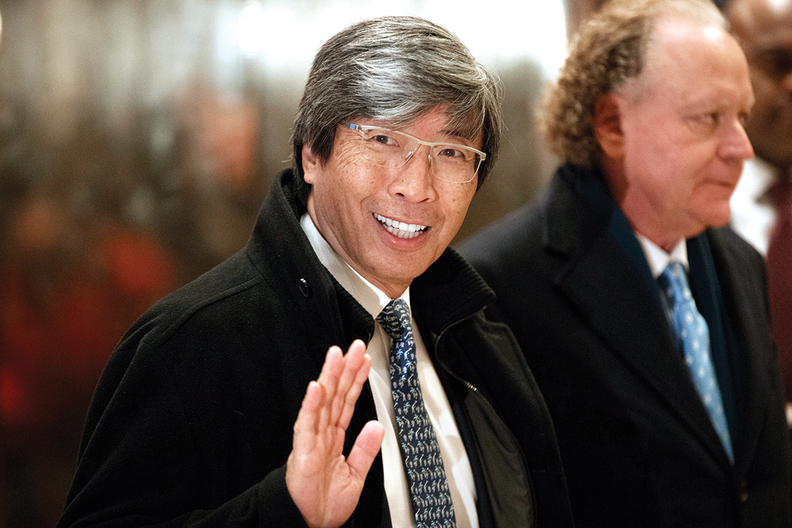 Billionaire physician-entrepreneur Dr. Patrick Soon-Shiong has a new sideline: newspaper owner. The man Forbes has described as "America's richest doctor" last week bought his hometown paper, the Los Angeles Times, as well as the San Diego Union-Tribune for $500 million. It was his fight against cancer that put the doctor on the road to amassing the cash needed to purchase his new media properties. Forbes estimates his worth at $7.8 billion, gained from sales of his pharma companies and a cancer drug he developed, Abraxane. Soon-Shiong also is a basketball fanatic who shoots hoops on a hardwood court inside his multimillion-dollar mansion and owns a minority interest in the Los Angeles Lakers that he bought from none other than Magic Johnson, the team's legendary president of basketball operations. His interest in the Times surfaced publicly about 18 months ago when he bought a 13% stake in the L.A. Times' parent, Tronc, for $70.5 million. Born in South Africa to parents who fled China during World War II, Soon-Shiong has said he learned the value of a free press growing up in a country that still practiced apartheid, denying rights to non-whites. "In South Africa, being Chinese meant I wasn't white and I wasn't black," he told Los Angeles Magazine in 2013. He added that he trained at a black hospital and later worked in black townships where medical facilities were insufficient and he wasn't sure if the drugs he administered to children with tuberculosis were really doing any good.